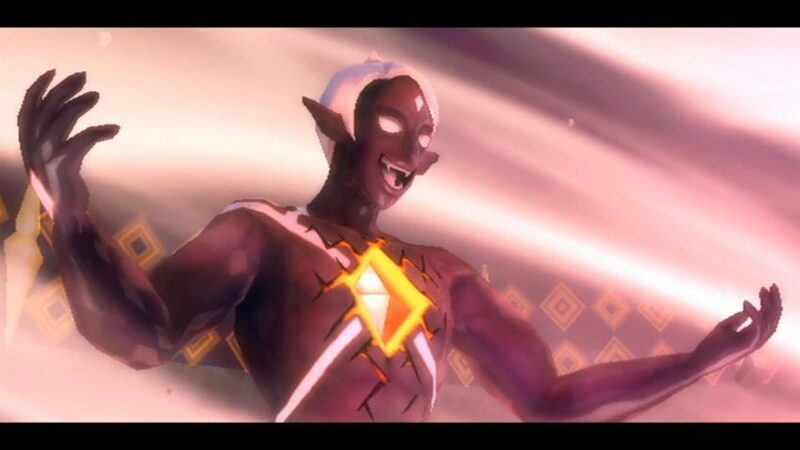 From the moment I met Ghirahim at Sky Temple in the early hours of The Legend of Zelda: Skyward Sword, I knew there was something special about him. From his first line of dialogue to his final grotesque moments, he was a character I loved to hate. Throughout my journey, I watched the self-proclaimed Demon Lord smirk, sneer, and mock Link with an attitude that varied between flamboyantly gleeful and murderously violent. While Ghirahim is not as imposing as his towering master Demise or the bestial Gannon, he is an indelible villain. Ghirahim is so easy to hate, so acutely villainous because he serves as the embodiment of many of the qualities that represent the worst humanity has to offer. Let’s take a look at what the makes Demon Lord Ghirahim such a unique and unforgettable villain. Ghirahim likes pain. He likes pain in a way that feels incredibly out of place for video game rated Everyone Ages Ten and Up. 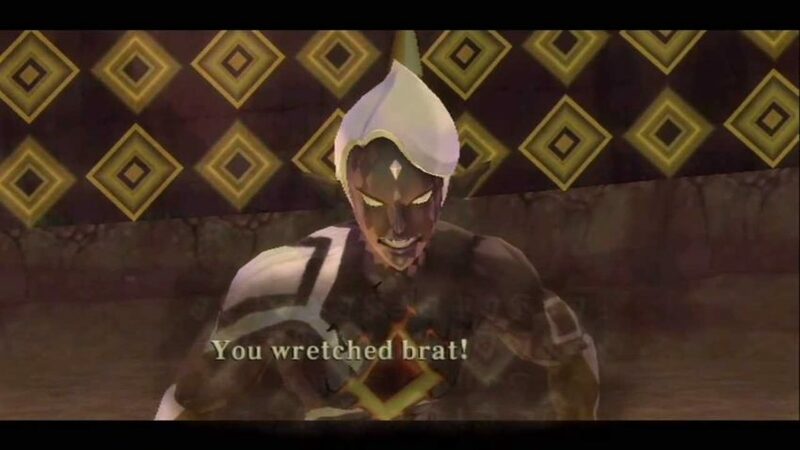 If a player examines any of Ghirahim’s numerous interactions with Link, they are guaranteed to read a variety of dramatic and excruciatingly detailed monologues about hurting our hero. This monologue, from early in the game, embodies Ghirahim’s attitude on hurting others: “Still… it hardly seems fair, being of my position, to take all of my anger out on you. Which is why I promise up front not to murder you… No, I’ll just beat you within an inch of your life!” As illustrated by the quote, Ghirahim has no qualms about inflicting pain on others to make himself feel better. When Ghirahim feels down, he takes all his emotion stress and irritation and inflicts on those around him. Ghirahim’s statements are delivered with a nonchalant and casual cruelty that is rarely present in a Zelda game. In real life, inflicting pain on others is, especially those weaker than yourself, is a common trait of bullies. Bullies often often use this pain and cruelty to make themselves feel more powerful. Like some other bullies and villains, Ghirahim clearly enjoys to lord his power over other people, deciding who to leave alone and who to torture/bully. It’s a given that we root for Link, when he and Zelda are being constantly terrorized by the self-proclaim Demon Lord. For Ghirahim, everything is about Ghirahim. His whole life resolves around resurrecting his master and he assumes that the entire world cares exclusively about his wants and desires. Since Link and Ghirahim’s quests occur simultaneously, it illustrates the differences between the two foils. Link’s quest is focused on others, mostly Zelda, but to a lesser extent companions like Groose, Impa, and the other characters he meets throughout the narrative. For Ghirahim, every interaction and action taken is self indulgent. His motivations are focused on what they gain him. When thwarted by Link near the end of the game, Ghirahim rages “You’ve pushed me too far. I’ve waited my whole existence for this! This is my moment!” There’s an incredible narcissism built into the character, which shows in every line of dialogue and the motivations of the character. The dangers of self absorption are often present in the real world. When an individual, like Ghirahim, is too self absorbed, they risk both intentionally and unintentionally neglecting the people around them, which can often result in broken relationships and friendships. In societies where we often find people asking the “what’s in it for me” or “what do I get out of this” the dangers of self absorption loom large in our modern world. Ghirahim even sacrifices his own minions to achieve his own goals, asserting that he doesn’t care if “the whole lot of you get lodge on the end of his blade”. Who would possibly want to work for a self centered punk who says things like that? 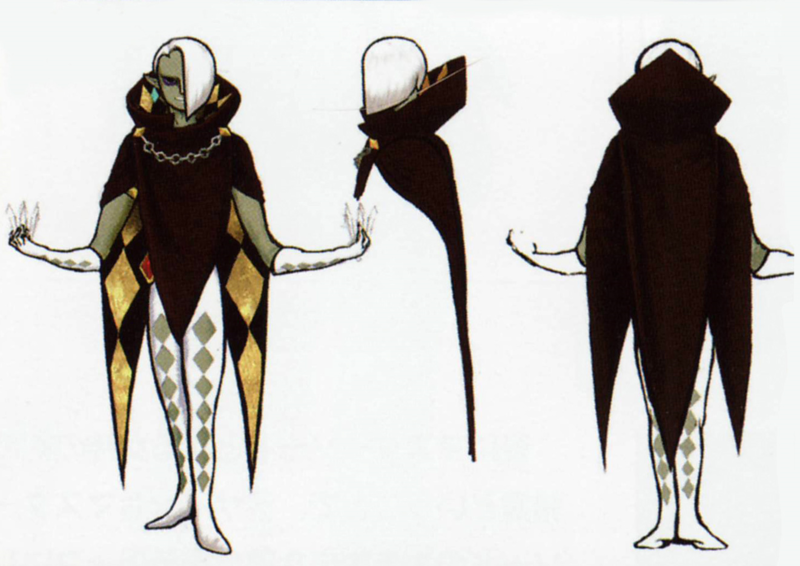 Ghirahim’s narcissism and arrogance also result in an insipid infatuation with his own physical appearance. Ghirahim worships the face that he sees reflected back in the mirror. As the narrative progresses, Ghirahim’s body begins to transform towards it’s final form. It’s a process that is uncomfortable to watch unfold. 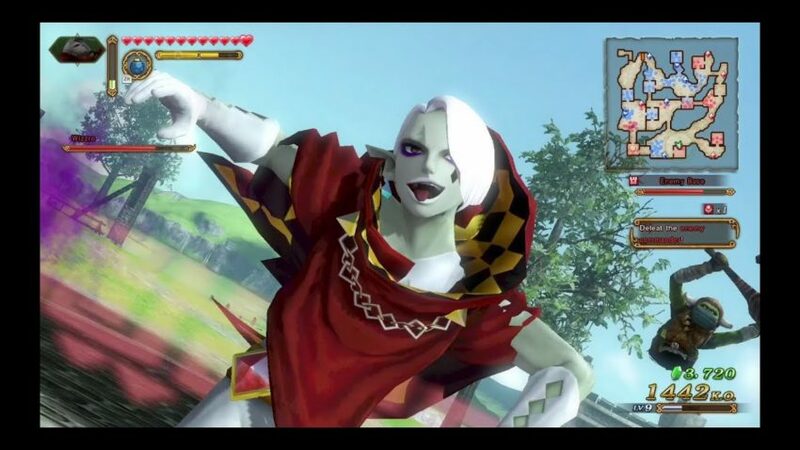 In addition, to the unnerving physical changes, the changes also illustrates Ghirahim’s hideous vanity. In the Fire Sanctuary, Ghirahim shows off his “new look” to Link, saying: “Behold! Such beauty! Such a pure form! Such an exquisite physique! Such stunning features! Yes, I’ve pretty much got it all”. Ghirahim’s arrogance, his worship of outward appearance oozes out of every word of this quote. In the game, the player is instructed/pushed to value the inward qualities of courage, humility, and compassion that are present in the interactions and choices of Link, Groose, and Zelda. The player sees Groose grow into a hero, despite not physically looking like what the player may think of when picturing a hero of legend. 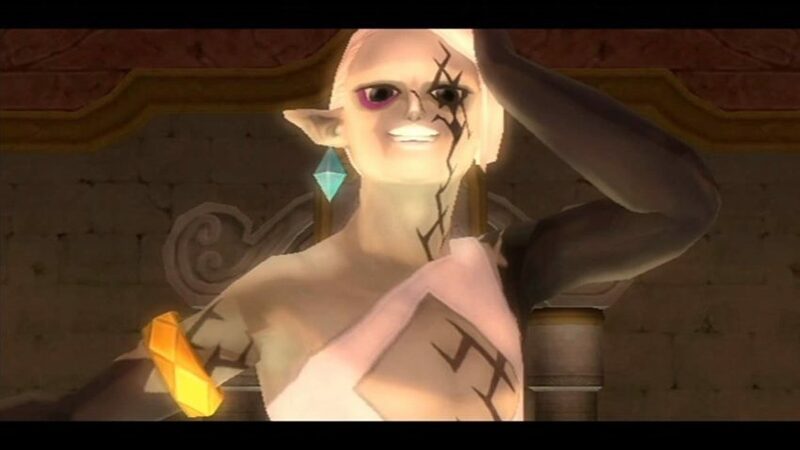 In comparison, Ghirahim’s obsession with his physical, outward beauty reveals a shallowness that is sadly all too relevant to our modern lives. It’s a tragic quality that affects us all to different degrees, but when it becomes an overpowering force in our lives it becomes incredibly destructive. If we value physical appearance too much, we can miss the important inner qualities that make people special. When he never look beyond the surface, we become shallow ourselves. The first meeting between Ghirahim and Link highlights one of the Demon Lord’s most distributing qualities. Disappearing from view, Ghirahim reappears behind our hero, caressing Link’s shoulders with long thin hands. It’s a moment that elicits shock and surprise from our hero, and also from the player. It’s rare to see a villain so opening put his hands on our hero in such a brash way. If it’s an intimidation technique, then it is highly effective and unnerving. The concept of personal space is one that is drilled into many individuals since we are children. It’s a mantra taught in school and in households across the world. Even for tough guys and gals, there the classic “get out of my face” line, which illustrates that even the toughest men and women want their personal space. There’s an inherent comfort and safety in being in control of the space around you. There a sense of power, that no is going to mess with me, no one is going to hurt me. In recent years, our society has been (rightfully) more aware of respecting personal space and the feelings of safety and protection that come along with our personal space. Ghirahim violates these social norms by putting his hands on Link’s shoulders and upper body throughout their interactions. The villain has no qualms violating our hero’s feeling of safety and comfort. It’s crucial that the creators and writers of Skyward Sword use this disconcerting behavior in the first interaction with Link, as it sets a precedent that the villain follows for the remainder of the game, where he casually violates the rules and norms that we value so deeply. Ghirahim is a character who has drastic emotional shifts depending on how events favor him. Often he starts out reacting with sly joy and happiness, but changes to deep, uncontrollable anger when his plans fall apart. His main trigger, going along with his overwhelming narcissism, is being denied what he wants. As soon as this happens, the Demon Lord dives deep into a bottomless well of rage and violence. 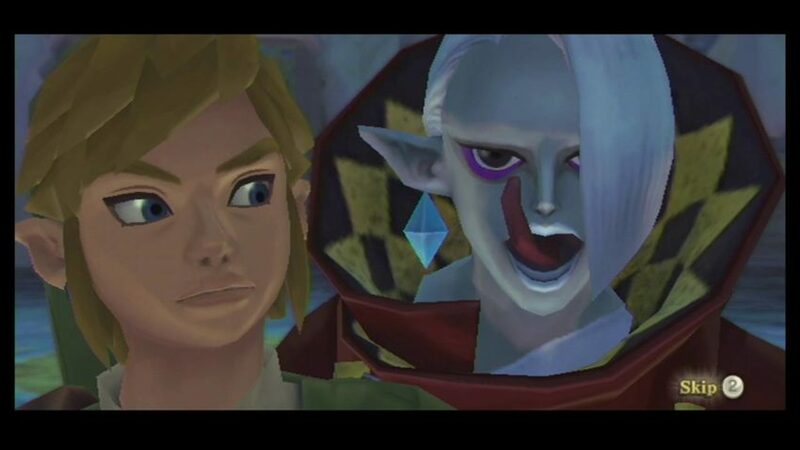 While Link battles adversity and pain with great humility and determination, Ghirahim often devolves into a petulant child, or worse, a psychotic aggressor. As in real life, many people hide their true selves behind a mask or facade that they wear. People sometimes pretend to be a certain thing creating a facade they think is the most appealing to the people around them. These disguises are designed to hide their true selves or alleviate hidden or unspoken insecurities. However, as with Ghirahim, facing adversity or denial can cause these hidden faults and flaws to rise to the surface. Anyone who has ever seen a tirade from a normally calm friend or a moment of cruelty from someone you really like know these breakdowns can get pretty ugly. Often times, these moments of emotional break down can result in broken friendships and broken relationships. Skyward Sword asserts that like Link, we need to built inner strength, so that when the moment comes we can face head adversity head on. There is a common expression that I’d use to sum up the player’s relationship with Ghirahim: “Familiarity breeds contempt”. The more you experience a person, a more reasons they might give you to dislike them. From my first cutscene with him to my final climatic sword duel with the demon lord, I reviled him for his arrogance, cruelty, and petulance. 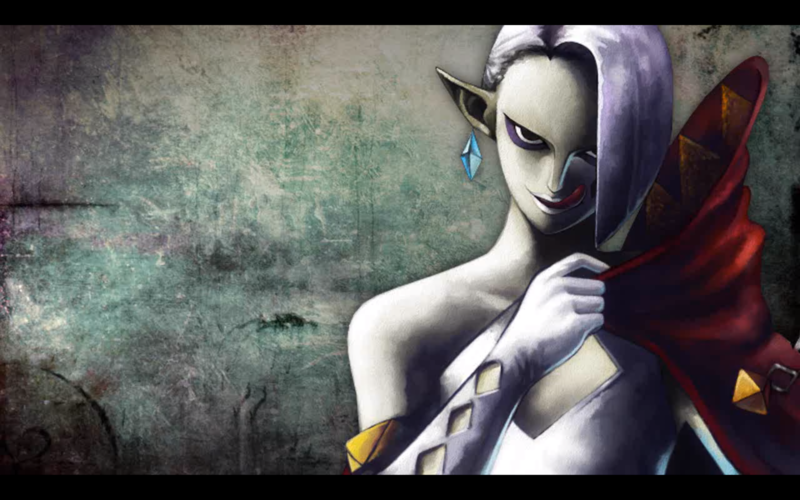 For all the flaws of Skyward Sword, Ghirahim’s implementation as an antagonist is utterly perfect. In all three sword duels, three of my favorite bosses battles in the series, I was determined to defeat him. In Ghirahim, I’ve seen a reflection of the worst qualities that humanity has to offer (along with some wonderful one liners) and like Link was driven to defeat the evils I saw manifested in Ghirahim. Ghirahim’s cruelty, narcissism, his repeated breaking of social norms, and his phoniness all make him a detestable character. It’s a testament to Ghirahim’s character design, dialogue, and narrative that he is the villain I love to hate. Sean Gadus is an Associate Editor at Zelda Dungeon. He loves playing video games, reading books, watching movies and geeking out about all things Nintendo, Star Wars, Batman, and Harry Potter. His first Zelda game was Ocarina of Time.